En 1996 el gobierno de las Islas Canarias promulgaba una ley que regulaba los avistamientos de cetáceos. Esta ley fue revisada en 2002. Desde enonces los organizadores de avistamientos comerciales han de poseer una licencia. 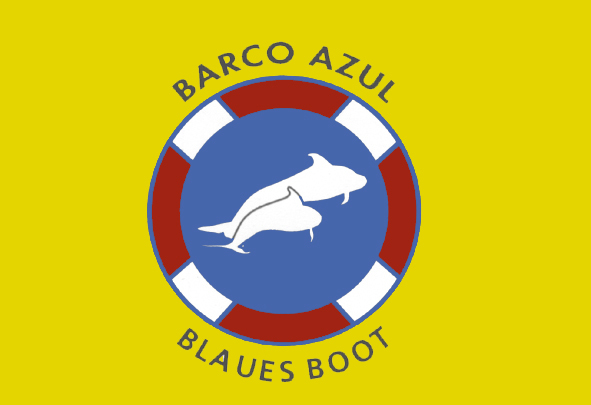 La posesión de esta licencia se reconoce por una bandera pequeña y amarilla que lleva escrito „Barco Azul“ (véase la ilustración), la cual ha de estar izada y a la vista en la embarcación. En esta bandera debe figurar el año actual. Do not intercept the trajectory of the animals. When a vessel is within 300 meters of cetaceans it must move at a slow speed, not more rapidly that the slowest moving animal of the group. Approaches to cetaceans must be made gently, converging in the direction that the animals themselves are following. Approaches must never be made head on, always allowing for the movement of the cetaceans in any direction. During the observation a parallel trajectory to the animal, must always be attempted to be maintained. Avoid in all cases abrupt changes in direction or velocity. Put the motor on idle, at least one minute before turning it off if the vessels stops in order to observe cetaceans. The same is to be done if an animal approaches the vessel. 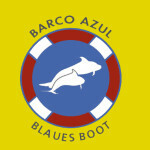 Do not start the motor, or increase speed, if an animal is found within 60 meters of the boat. Abandon the zone if any sign of alarm, change or stress such as abrupt changes in direction or speed, successive dives or exhaling air under water is shown by the animals. Avoid noises that could bother the animals, as well as emitting sounds to attract them. Advise authorities of your location in the case of an accidental injury to a cetacean. Do the same in the event of observing a dead floating cetacean. communicate amongst themselves in order to coordinate the approaches and maneuvers in a way to minimise repercussions to the animals. Source: CARLSON, C. (2004): A review of whale-watching regulations around the world – version 2004. Yarmouth Port.